Did you know bald eagles could swim? Well, we didn’t either until this video. 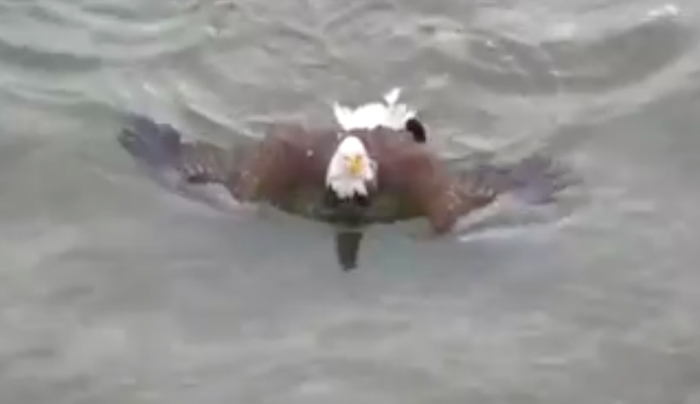 Watch the video below of this bald eagle swimming after catching dinner. Did you know that eagles can swim?